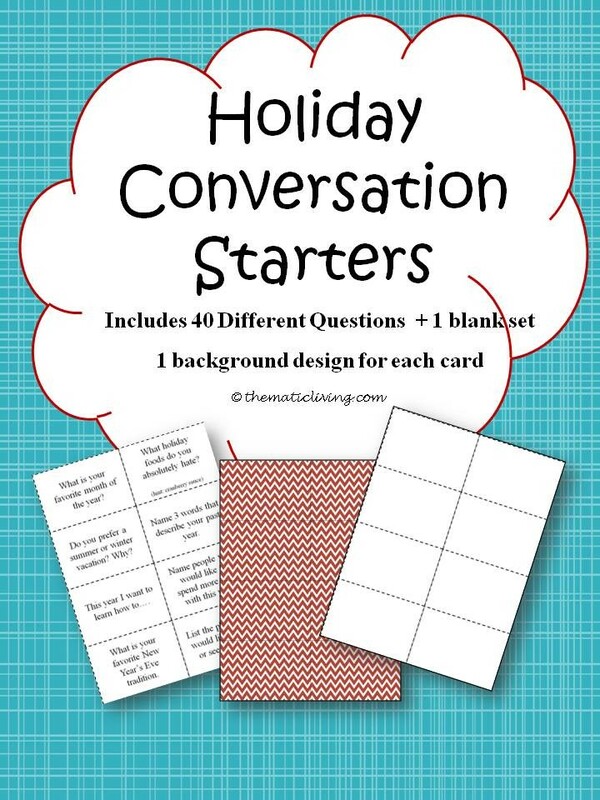 Print out each sheet of “Holiday Conversation Starter” questions and cut into individual cards. You can choose to print (5) copies of the background sheet to attach to each question card (before laminating) in order to prevent the cards from being see-through. Another option that you have if you choose not to use the background sheet is to print the cards on card stock (you can laminate the card stock cards for longer durability if you so choose). This is a great activity to use during a free moment or while having coffee and you are in need of light conversations. Conversation is the most fruitful and natural exercise for the mind.